Matters Arising from the Identification of the Body is a hard sci-fi crime novella. It starts off with the suicide of a wealthy heiress, but the book is as much about the author’s vision of Titan’s settlement as it is about the mystery. Usually, I’m not particularly fond of hard sci-fi and there were elements of the genre present in Matters Arising that didn’t appeal to me. In particular, I found the language more academic than emotive, which created a distance from the characters. However, the story went some way towards mitigating that by giving the main character a family life of sorts. Seeing her struggle with her personal relationships helped humanise Guerline. Her focus and dedication to her work is shown as both a virtue and a character flaw. The details of daily life also helped make Guerline relatable. We get to see her make long commutes, grouch at missed flights and travel delays, and engage in online research and recreation. These details also do a clever double duty, showing what it’s like to live on Titan in a way that feels natural. It also fits in with the detail-oriented nature of procedural crime. The drawback to this approach is that it can feel a bit slow-paced. There’s no real sense of urgency until Guerline’s final trip home. However, the short chapters help to counterbalance this. Another thing I was pleased to see was how diverse the cast was. It’s something I’m not used to seeing in hard sci-fi… though it should be said my experience with the genre is very limited, especially when it comes to modern examples. 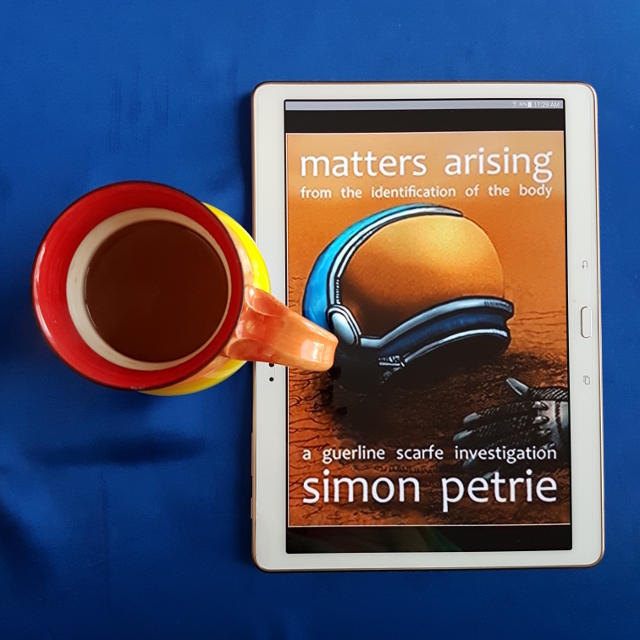 All in all, Matters Arising from the Identification of the Body was a solid read and while not exactly my cup of tea, I’d definitely recommend it to lovers of hard sci-fi.